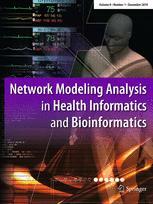 NetMAHIB publishes original research articles and reviews reporting how graph theory, statistics, linear algebra and machine learning techniques can be effectively used for modelling and analysis in health informatics and bioinformatics. It aims at creating a synergy between these disciplines by providing a forum for disseminating the latest developments and research findings; hence, results can be shared with readers across institutions, governments, researchers, students, and the industry. The journal emphasizes fundamental contributions on new methodologies, discoveries and techniques that have general applicability and which form the basis for network based modelling, knowledge discovery, knowledge sharing and decision support to the benefit of patients, healthcare professionals and society in traditional and advanced emerging settings, including eHealth and mHealth .